Registration: Registration begins Thursday, Sept. 1. $500: This allows admission to all event activities and meals from Friday brunch to Sunday lunch (seven meals). It does not include accommodation, equipment rental or the event t-shirt. $425: This allows admission to all event activities. It does not include meals, accommodation, equipment rental or the event t-shirt. $125: This allows admission to a single, half-day class. It does not include meals, accommodation, equipment rental or the event t-shirt. 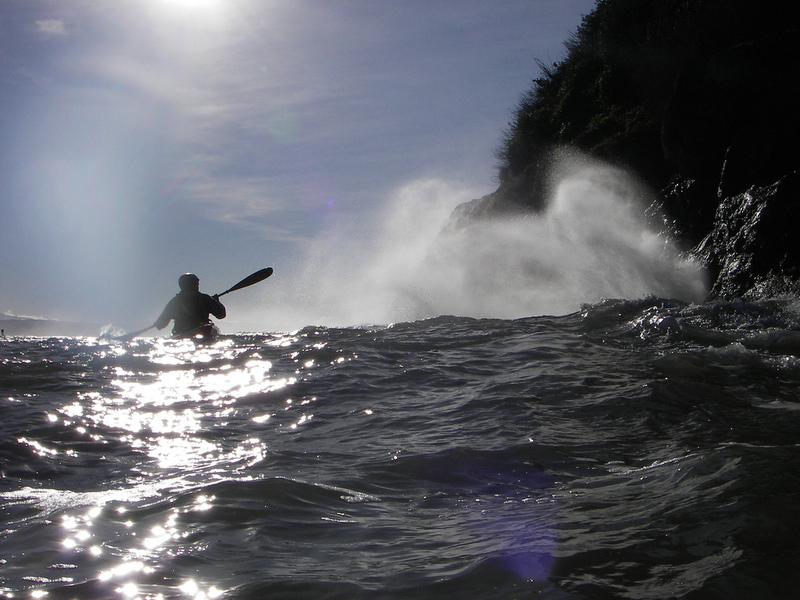 Optional Extras: Sea kayaks can be rented for $40 per session / $100 entire event. Drysuits can be rented for $50 for the entire event. Event t-shirts are available for $20. Description: Storm Gathering USA is the sister event to the UK Storm Gathering Symposium (UK SGS), which has become increasingly popular since its inception on the Isle of Mull, Scotland in 2006. The UK SGS just celebrated its eighth event. This will be the second SGS USA event that has been held in Trinidad, California. Both events are presented by Greenland or Bust. Find out how to register for the event HERE. Updates will appear on this website, via Twitter and on Storm Gathering USA’s Facebook page. We looked forward to seeing you there Kirk.